Be sure to check out my latest tutorial currently posted on Design Instruct, Create a 3D Coffee Cup with Illustrator and Photoshop. In this tutorial I will show how to create a 3D coffee cup in Adobe Illustrator, add a design to it, then apply it to an advertisement. In this tutorial, you will learn how to design a minimalist brochure with a gallery layout. It combines simplicity and elegance with the basic functionality of brochures. Here is the step-by-step procedure on how to design an elegant gallery minimalist brochure in Adobe Photoshop. There are many types of effects that you can add to your design. One of the â€œcoolerâ€� and fresher ways is to add some nice water droplet effects in the design. While you can of course easily â€œcut and pasteâ€� water droplet images into flyers, in many cases, it may not be enough. In this tutorial, we will teach you how you can create your own custom-made droplet effects for a nice and cool original flyer advertisement. We will be using Adobe Photoshop here to get the effect that we need. Check out my latest tutorial at Design Instruct; Vintage Photo Effect in Photoshop where I show how to create a vintage look to your photos. Have you ever tried your hand at t-shirt design or are you an expert in the field? Either way, we have put together a list of valuable t-shirt design resources that are sure to sharpen your pencil. These instructional links include lists, tutorials, tips and much more. Check them out below! A lot of times, you arenâ€™t going to find the perfect photo. 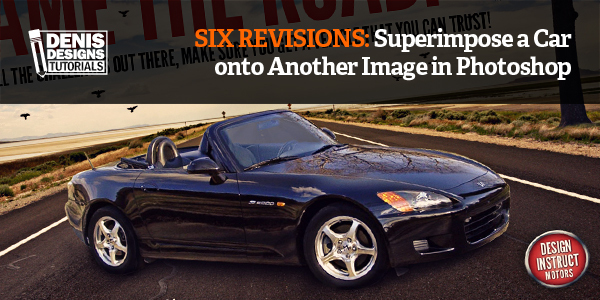 Sometimes the subject needs to be retouched or its background isnâ€™t suitable. The objective of this Photoshop tutorial is to show you how to combine and blend different objects to create your perfect photo composition. Weâ€™ll discuss how to find the right images to use, how to match colors and some techniques for seamless photo blending.